Cracker Barrel has been around since 1969, the first store opened right here where we live, in Lebanon, TN. One of the biggest reasons that I believe Cracker Barrel has been so successful is their consistency and dedication to keeping things simple just like they were back in 1969. Many of the menu items have been around forever, my favorite Chicken & Dumplings are the same as they were the first time I tried them and my husband knows that the first place he ever tried turnip greens as a little boy is still the best place to go today for a bowl of his favorite greens. My husband has lived in the Nashville area all his life and remembers visiting the first store with his grandparents many times just down the road off highway 109 from his Uncle’s cattle farm. 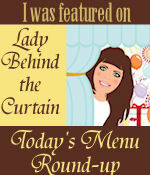 How many restaurants can you say that you have visited over the years that have not changed up their menu to try and reinvent themselves and you end up not liking the change? I can only think of a couple and Cracker Barrel is one of them. While Cracker Barrel does remain consistent with their atmosphere and food, there are a few times throughout the year that they introduce us to something special and one of those is their gorgeous Christmas Decor. 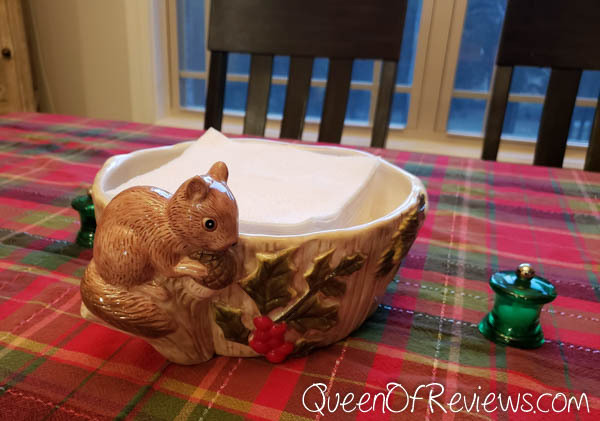 This Squirrel Serving Bowl is exclusive to Cracker Barrel and brings a rustic, woodland charm and is great as a centerpiece. For now I am just using it to hold napkins, but it would be great for rolls, turkey or dressing on Christmas Day. 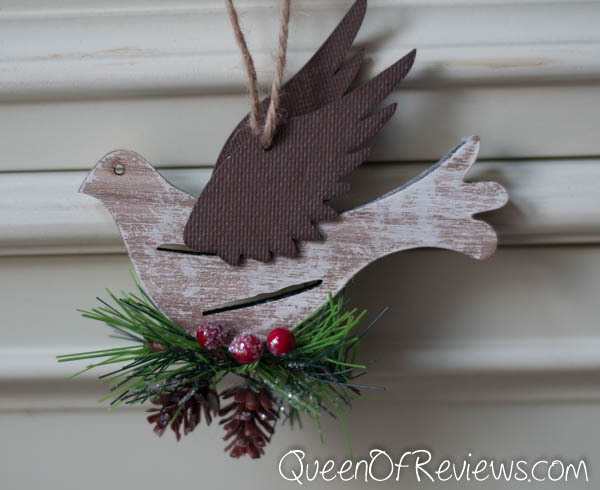 I love this bird ornament, the weathered wood contrasts so well with the frosted holly berries. 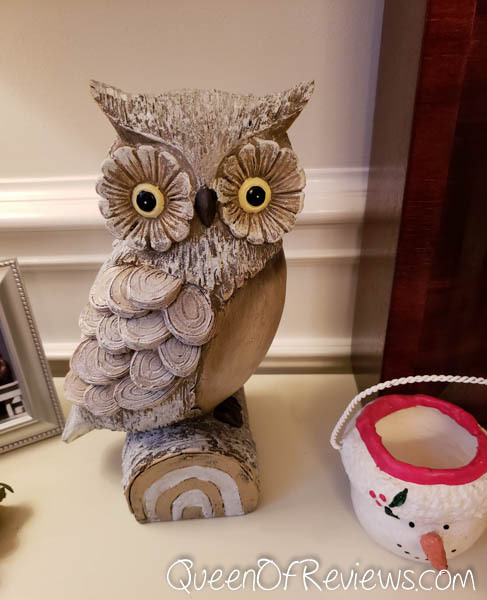 The Owl Figurine, also a Cracker Barrel exclusive looks right at home on our buffet table in the Dining Room, decorate a table, shelf, mantel and more with this delightful decor! 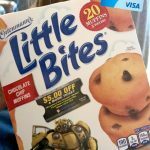 Head over to your local Cracker Barrel today and grab some Chicken & Dumplings or Chicken Fried Chicken and be sure to browse their store for all of their Christmas Collections, don’t miss out because these will not last long. If there is not a store near you or you are pressed for time their Christmas Decor is also available at CrackerBarrel.com.